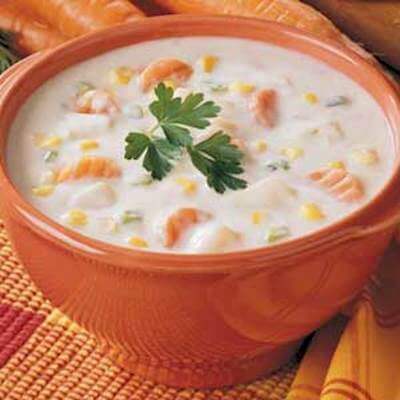 RecipeSavants.com Warm your tummy & spirits with a hearty bowl of New England-style corn chowder! My easy slow cooker version is a medley of fresh corn & veggies, seasoned with ham and savory herbs & spices. The irresistibly creamy broth makes this classic chowder just what the doctor ordered for a cozy winter's meal. 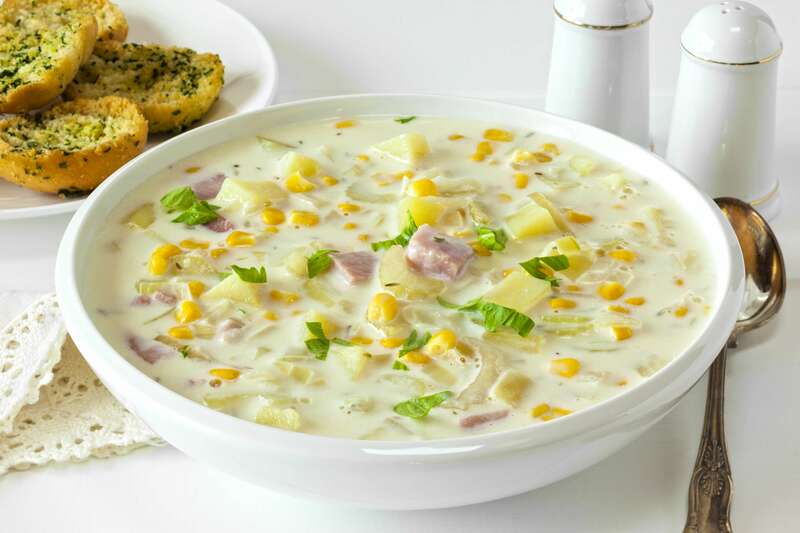 Smart Recipes, American Recipes, Dairy,Vegetables Recipes, Recipes Dairy,Vegetables American Corn Chowder PT5H5M Serves 4 Ingredients: 1 Large Yellow Bell Pepper 1 Medium Onion 1 Pound Ham Steak 0.75 Pound Frozen Corn 2 Large Potatoes 0.75 Cup Homemade Cream Of Mushroom Soup 2.5 Cups Whole Milk 1 Teaspoon Salt & Freshly Ground Black Pepper 0.25 Medium Bunch Of Green Onions In a crockpot, combine all the ingredients and stir to combine. Set heat to low and cook for 6 hours. Garnish with green onions and serve. If you enjoyed this easy chowder recipe, you'll love these fresh ideas! This is the simplest and richest chowder you will ever taste. 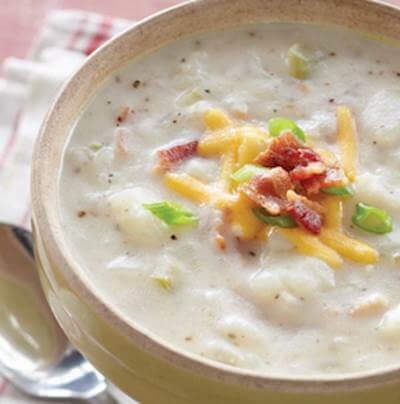 Cream of potato soup, cream of mushroom, and sour cream are just some of the simple ingredients that will make this soup your favorite comfort food. No need to get it at a restaurant. 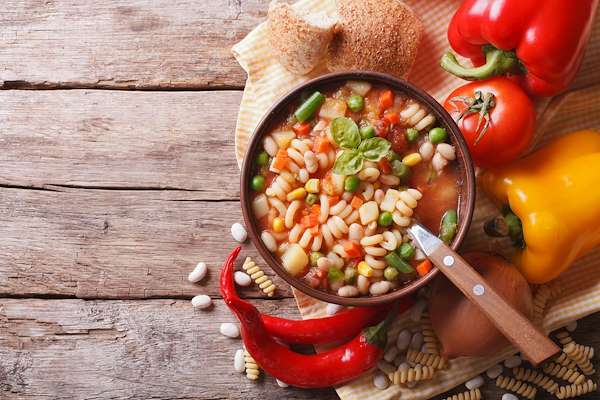 Make it easily from home!